CasinoBonusNews → Casino banking → "Online casinos accepting Payspark e-wallet"
If your favorite casinos are all powered by Microgaming you are looking for a new way of transferring money to and from your gaming accounts, then you might want to check out the online banking service called PaySpark. Also known as EziPay, PaySpark is a multinational e-wallet that lets gamblers move funds around online casinos without putting their banking information or credit card number at risk. It is a growing company, and even though it is limited to Microgaming casinos, there are a large number of casinos to choose from that support this option. PaySpark currently doesn’t give out new accounts from players in the U.S. or Canada, but players from other places may want to check out the Web site’s information on the security measures it has in place. It allows money to be added into the account by the user’s credit card, banking account or wire transfer. It allows the account holder to spend that money at different online shopping sites or to purchase credits at an online casino. Best of all, it allows gamblers to withdraw their casino winnings and transfer them back into the PaySpark account, so that players don’t have to scramble to find a different withdrawing method. Some deposit methods, like MasterCard and gift cards, don’t have this feature, and some players may not understand the value of having one e-wallet that can do both. Even better is the fact that this way of doing online shopping and banking comes with a bonus: an ATM card that can be used at cash machines around the world just like any other ATM card. Anyone with a PaySpark account can access their money almost anywhere, using the card at the ATM and getting cash out instantly. 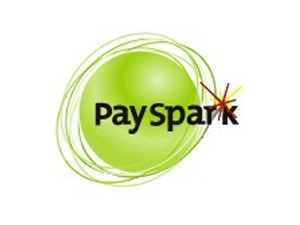 Most of the actions associated with banking with PaySpark are instant. It is a very fast way of transferring money as well as an easy way of managing your cash. Because PaySpark is so closely associated with Microgaming sites, the only way to get an account with them is to start the process inside the cashier’s window of a Microgaming casino. You can request an account, but the majority of the people who get one are invited by Microgaming after being a player in good standing for quite a while. After providing them with the correct information, account holders can go to the PaySpark Web site and log in to check their balances and make changes. The site supports many different languages from more than 10 countries and proudly displays a current security certificate from Thawte. In fact, security is the name of the business here. They are striving to be the most secure way of handling your money online. Besides the lack of U.S. gamers allowed to be a part of this venture, there are some pros and cons to keep in mind. Active accounts do not charge any fees, but if someone has let their account sit for more than 90 days without activity, PaySpark charges a $10 fee to the account. The ATM card is handy for getting cold hard cash into your hand from your account without much thought, but online the account is sort of limited by the few places you can use it outside of an online casino. Just being a member can make you feel like part of an exclusive club, though, which may be enough for some people. A list of the best online casinos that accept PaySpark is really nothing more than a list of the top Microgaming casinos online. Below is that list, which is being updated all the time as more casinos are being reviewed and looked at.